Pixar's president Jim Morris recently revealed that the fourth instalment of 'Toy Story' will not follow or be similar to the three previous sequels. Although 'Toy Story 4' is set for release on June 16, 2017, fans are already getting excited about the Pixar movie because the studio's President Jim Morris recently revealed it will not follow or be similar to the three previous sequels. "The third movie was over in a beautiful way and completed a trilogy. I think this movie is not part of [that] trilogy," Morris said to Disney Latino (translation via Google). "We are putting together a very nice story. It is not a continuation of the end of the story of 'Toy Story 3.' Temporarily it is, but it will be a love story. It will be a romantic comedy. It will not make much focus on the interaction between the characters and children. I think it will be a very good movie." What Is It About Animated Sequels? 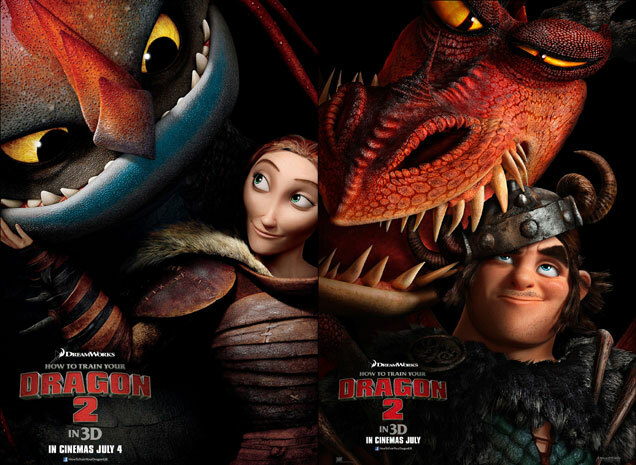 How To Train Your Dragon, Despicable Me, Toy Story - the sequels often seem to outdo the originals. In a Hollywood atmosphere that currently seems obsessed with stretching even the most moderate of box-office successes into a full blown franchise, sequels and prequels are a ubiquitous presence in cinema multiplexes. But in the world of animated cinema, where the construction of a film requires infinitely more hard work and dedication than a live action picture, sequels tend to emerge that better the original- a much rarer occurrence amongst many Hollywood pictures. Gerard Butler stars in How To Train Your Dragon 2 which has won copious plaudits. That’s not to say there aren’t a few howlers either, animated studios such as Pixar and Disney are just as susceptible as the rest of the film world in dispensing some truly woeful and misguided follow ups. The likes of Cars 2 and Rio 2 left no-one with the life affirming sense of warmth that truly brilliant animated films of this type should provide. As is universally recognised, a mark of greatness from an animated film is its ability to simultaneously appeal to children and the adults who accompany them to the big screen. The likes of Shrek 1 & 2 and the Toy Story trilogy are prime examples of catering for both age groups through crafty pop culture references and subtle entendre. Continue reading: What Is It About Animated Sequels? The truth about Andy’s dad has been uncovered and it’s actually pretty depressing. Ever wondered why Andy’s dad never appears in Toy Story? Maybe you have or maybe you didn't want to, for fear the truth might be too depressing. Well guess what? It is. In all three Toy Story movies we never see Andy's father. Pixar enthusiast Joe Negroni has a theory, a very plausible one, about why Andy’s father is never seen nor mentioned in Toy Story. Negroni, is a bit of a Pixar detective, having previously hypothesised that Jesse’s first owne,r Emily, is in fact Andy’s mother. That’s a much happier theory then the one we are about to delve into. Not many movies hold a 100% fresh rating, but here's 10 that have managed the impossible. It's hard to find a perfect movie, but some films do manage the honour of scoring a 100% 'fresh' rating on Rotten Tomatoes. There hasn't been that many since 1990 but here's a run down of the movies with 100 Rotten Tomatoes' percentage points! To be clear: films included in this top 5 are computer animated, rather than the complicated, classic style of animation employed in films like Pinocchio from 1940. There’s nothing wrong with a bit of animation cells and Zerox, but we’re going for a modern slant with this list. So without any further ado, let’s see where The Lego Movie fits in with its contemporaries. Everyone’s Got A Friend In Toy Story! The main soundtrack from Walt Disney's 'Toy Story' movies, 'You've Got A Friend In Me', is officially the most well-loved in Britain. We all love a good Disney classic and what makes them even more memorable and enjoyable is the super catchy soundtracks that will remain etched in our minds forever. 'Toy Story' was universally acclaimed on its release in 1995 and won an Academy Award in the 'Special Achievement' category, while soundtrack 'You've Got A Friend' in me recorded by Randy Newman was nominated in two Oscar categories and one Golden Globe category. In a recent calculation of the digital sales of the tracks from the triple disc 'Now That's What I Call Disney!' album, the track came out on top with 1,627 downloads since it was release on November 19th 2012. In second place with 1,441 downloads was 'A Whole New World' from 1992's 'Aladdin' which was written by Alan Menken and Tim Rice and became a number one hit in the US charts the following year. 'Circle of Life' from 'The Lion King' which came out in 1994 was number three with 1,343 downloads, closely followed by 'The Jungle Book's 'The Bare Necessities' from 1967 with 1,340 and 'Under The Sea' from 1989's 'The Little Mermaid' with 1,244. 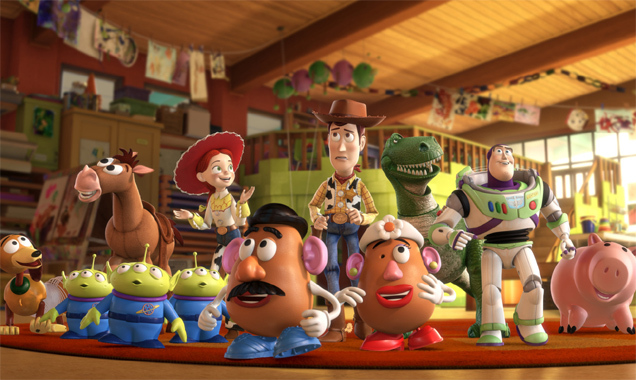 Continue reading: Everyone’s Got A Friend In Toy Story!